← Rooftop Gardens are Super Rad. El Duderino pequeno es dos! Boring to 99% of the population? Possibly. But he’s my Boy! I can’t think of a better way to spend 1:30 of my day. 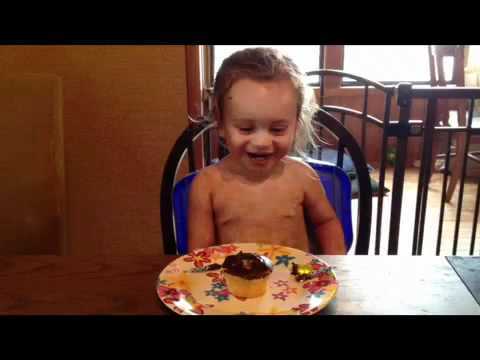 You’ll have to suffer through some not-so-great singing, but the reaction of a two year old figuring out the birthday traditions is pretty classic. I’m biased, but his “Aaapy bertday!” is pretty darn adorable. I never expected him to be so excited about his birthday at two, but he dug it big time. Last but not least, four years of Spanish and all I can muster is misspelled Spanglish. Although, I still believe that Spanglish saved our lives on the honeymoon in Costa Rica. On the other hand, Mrs. Dude thinks I just told a woman her baby looked like a fish. We may both be right. 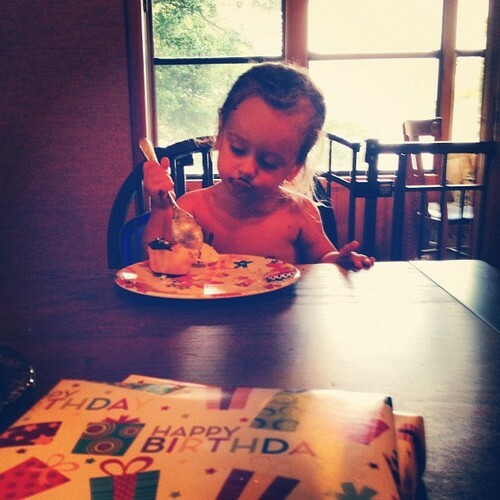 This entry was posted in Age, Little Dude, Milestones and tagged appy bertday, birthday, Little Dude, two. Bookmark the permalink.